Image Outer Urban Projects Zone2 Program participant Tehyali Malone and R-Fam Dance Crew take part in the Inaugural Annual Dance Affair. Photo: Migule Rios. 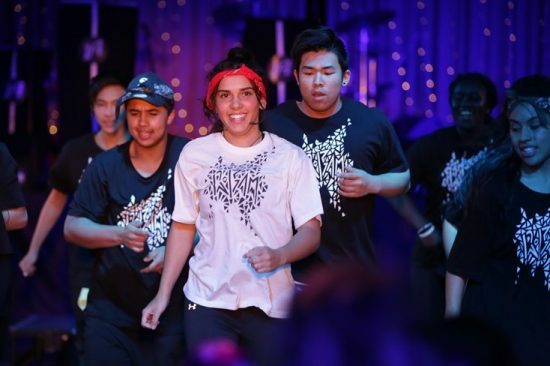 In this pilot project, young people from Melbourne’s north will expand their performance, community and business skills in a solid pathway to paid employment. Outer Urban Project’s (OUP) Linkages program aims to support and generate a culturally diverse northern wave of new artists, arts workers and creative producers. The Linkages Employment Generator will identify young people participating in OUP’s Zone2 Community Access Tutorial Program who want to work on OUP’s Social Enterprise but require training in order to be work-ready as performing artists. Young emerging artists will be offered mentoring, training and support over a 12-month period with professional artists/tutors and community development staff to develop and expand their performance, communication and business skills. Participants will be linked into regular workshops and performance opportunities with OUP arts, community, corporate and local council partners across Melbourne. Project participants will graduate to paid employment on the Social Enterprise, working for a wide array of clients on workshops, tutoring and performance events.